New arrival: a piece of art and one of a kind moroccan handmade arabic calligraphy vase, hard to find in the souks of Morocco. 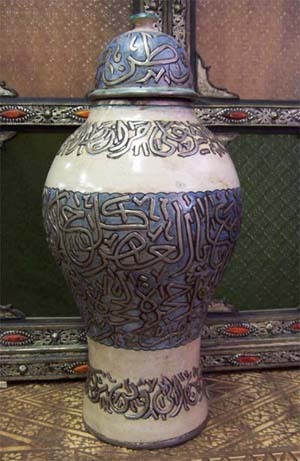 A Kufi calligraphy style vase. This unique vase measures 28" by 9".